A Shropshire solicitor has been appointed to the Law Society Children’s Panel. 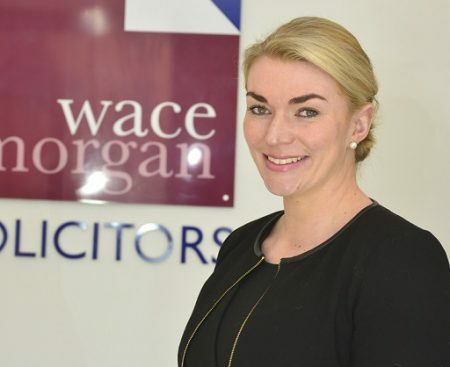 Lizzie Hughes, of Wace Morgan Solicitors in Shrewsbury, is one of only a few legal professionals in the region to be accredited by the panel, meaning that she can now represent children in care proceedings. “I was accredited in July after a lengthy written application and interview by panel at the Law Society in London,” said Lizzie who is also vice president of Shropshire Law Society. The appointment is designed for law practitioners who are able to demonstrate awareness, knowledge and expertise in child law proceedings and the representation of children. “It provides a recognised quality standard and enables professionals such as guardians to identify suitably qualified practitioners when representation of a child is required. “It is an achievement I am very proud of and that I have aimed for since qualifying as a solicitor,” Lizzie added. She is now able to accept instructions directly in respect of children through The Children and Family Court Advisory and Support Service guardians and will continue to represent parents and extended family members. Lizzie specialises in cases including intervention by social services, adoption and custody disputes and appears regularly on the West Midland, Shropshire and mid Wales court circuit before all levels of judges from magistrates to circuit judges.